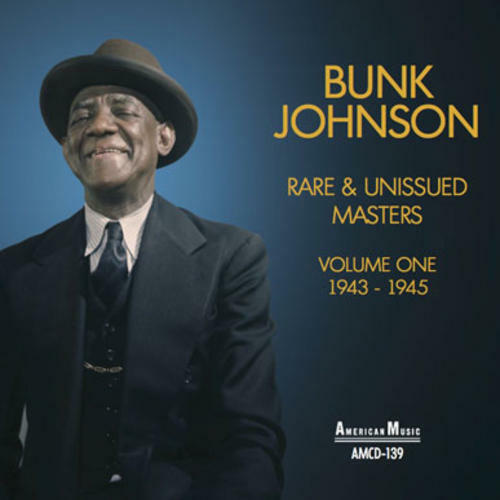 This long awaited CD presents over a dozen previously unissued masters of surprisingly high quality from the premier artist on the American Music label, Bunk Johnson. Digital technology made it possible to remove the reasons – often not musical – that they were not issued at the time, seventy years ago. The venues for the recording sessions varied between the legendary 1944 sound of the San Jacinto Hall to the homes of Bertha Gonsoulin in San Francisco and George Lewis in New Orleans. The 16 page booklet includes rare images, a history of the San Jacinto Club and a detailed discography.